Palm has pinned its hopes of a revival on the Palm Pre, which launches in the US this weekend. It's a case of 'fingers crossed' for a company that reported a catastrophic loss of over $500 million last December and that languishes in sixth place in the smartphone sales rankings. 1992 Palm Computing was founded by Jeff Hawkins, an electrical engineer who'd previously worked on pen computing technology for GriD Systems. 1993 Palm's first real product was the 'Zoomer' – a $700 pen-based handheld (sold as the Casio Z-7000 and Tandy Z-PDA) that was launched just after Apple's Newton. Neither the Zoomer or the Newton were hugely successful (although the Newton is still fondly remembered). 1994 Hawkins concentrated on developing more advanced handwriting recognition technology, which he saw as key to a better user experience. The result was the speedy and surprisingly accurate Graffiti system. 1996 The Graffiti UI is built into Palm's first own-brand PDA – the Palm Pilot 1000. 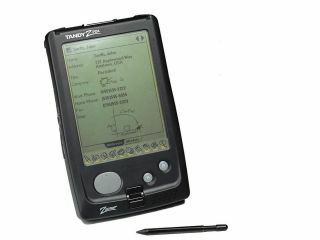 The Palm Pilot 1000 had a 16MHz processor, a 160x160 monochrome screen and 128K of memory – enough to hold 500 addresses and 600 appointments. Palm sold more than a million of them in the following 18 months. The Palm Pilot 1000 was followed by the Palm Pilot 5000 (boasting 512K of memory), Palm Pilot Personal and Palm Pilot Professional. After being sued by Pen Pilot over the 'Pilot' name, Palm kicked it into touch and cranked out the pithy Palm III series, super-slim Palm V and, eventually, the wireless-enabled Palm VII. 1997 3Com acquires Palm Computing. 1998 Hawkins leaves Palm Computing to form rival PDA builder Handspring. Qualcomm, meanwhile, licenses the Palm OS for its short-lived pdQ handset. Sony is equally enticed by Palm's popularity and third-party software support. It later develops the forgettable Clie series of handhelds running the Palm OS. 2000 3Com floats Palm Computing as Palm Inc. Everybody makes a ton of cash as the $38 shares ride a rocket to $165 before closing at $95. But a year later, as the dotcom bubble bursts, the same shares are worth $6.50.